Just when you thought you’ve seen every avenue for a cyber attack, the thieves have done it again, but this time physical thieves, not the ones poking around your packets. According to Krebs on Security, earlier this week one of his loyal readers was poised with quite a unique issue after his wife had been mugged by three robbers in Brazil. Not long after, the husband texted the stolen iPhone, offering to buy the device back from the thieves. 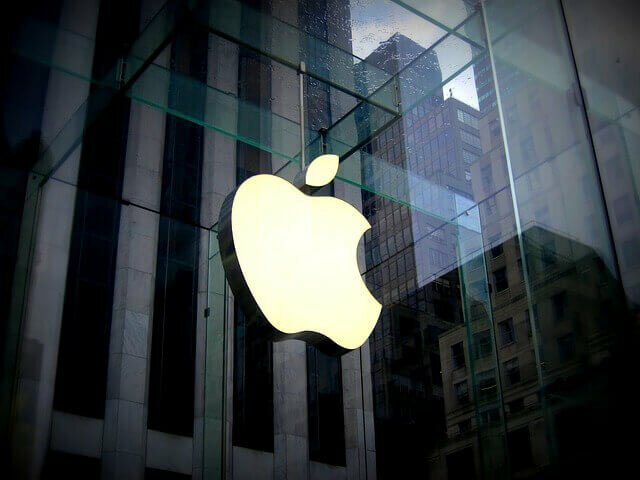 Shortly after he received an odd text back, telling him that to begin the process of retrieving his device, he needed to click on the texted link and log-in to the phishing page directly mimicking Apple’s site. Edu Rabin, a resident of Porto Alegre, Brazil said the three thugs had robbed his wife in broad daylight, thankfully she was unharmed and all they wanted was her iPhone 5s. Rabin said shortly after the robbery he tried locating her device using the “Find my iPhone” app. A free service Apple provides to help people find possibly lost and stolen devices. The tool offers a number of free services such as texting the device, locking the device and even being able to find it’s GPS coordinates. “It was already in a nearby city, where the crime rates are even higher than mine,” Rabin said. After this he said he used his phone to text the robbers, offering to buy the device back from them. But the following day Rabin began received a number of odd text messages stating that his phone had been recovered. “On Monday, I’d started to receive SMS messages saying that my iPhone had been found and a URL to reach it,” Rabin explained to Krebs, providing a screenshot of the text. 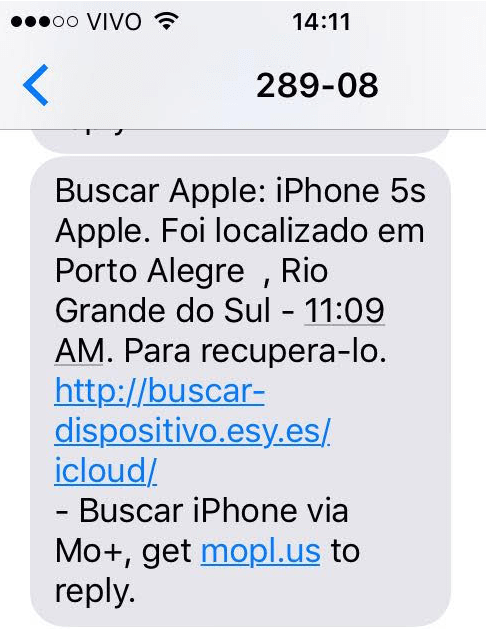 The link leads to a page looking nearly identical to the Brazilian version of Apple’s sign in page, the foundation of what phishing is based on. Tricking victims into inserting their credentials where they shouldn’t, and in this case, a fake Apple site hosted on a free web host. Rabin said he didn’t fall for the scam, but imagines that many easily could, especially those who lost their iPhone and are anxious to get it back. Losing a device is an especially stressful time, so it could be understandable to type in your credentials in hopes of finding your device. But scammers didn’t stop there when trying to phish this man and his wife for their Apple ID and password. Rabin said just two days later he received an odd automated call to the number he had texted the robbers from. The high cost of smartphones makes mobile device theft a serious issue around the world, not just the streets of Brazil. 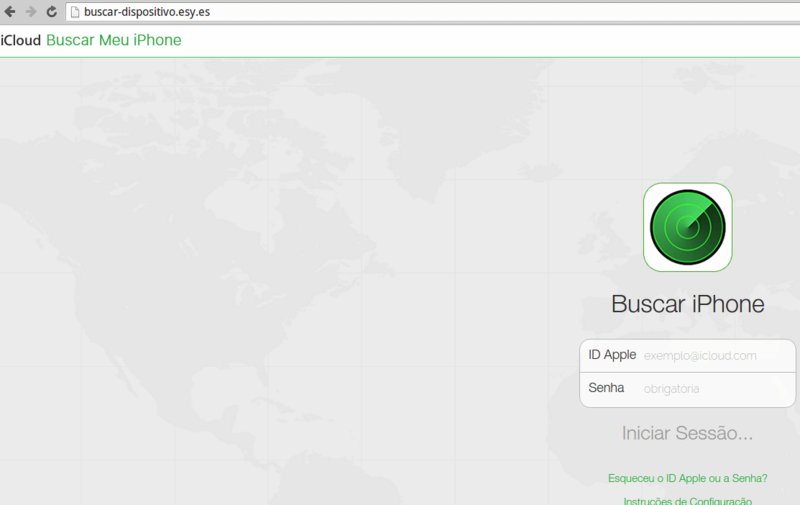 If you have an Apple device it’s highly recommended that you turn on the “Find My iPhone” feature in your Find My iPhone App, so that if you do lose your device, you can find it with one easy click at icloud.com/find. If your device is lost or stolen, it’s recommended to take a look at Apple’s advice on how to manage your lost device depending on the severity of the situation. In Rabin’s case, even though the iPhone was switched off, he has the options to put it in “lost mode,” “lock it,” or “remotely erase it.” The next time the device is powered on these actions will take immediate effect. It’s also recommended to enable a device finder if you have an Android device which is simple. Just log into your Google account and you’re done. Now if you ever lose your device, log back in to your Google dashboard and click Find my Phone in you activity panel or go to https://myaccount.google.com/find-your-phone. 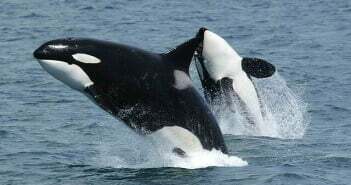 Try to make a habit of making local backups and syncing your device with your computer as often as possible, so that in the even your phone is stolen, you still have access to all your sensitive data. We are living in an odd era where physical robberies and cyberattacks are beginning to clash as the counter-attack measures are becoming harder and harder to break. As a Brazillian, I’m really sorry about this guy, but I can’t help to congratulate the thieves for this, they really gone next level!